You’ve always dreamed of traveling with R2-D2 across Tatooine or on Bespin. 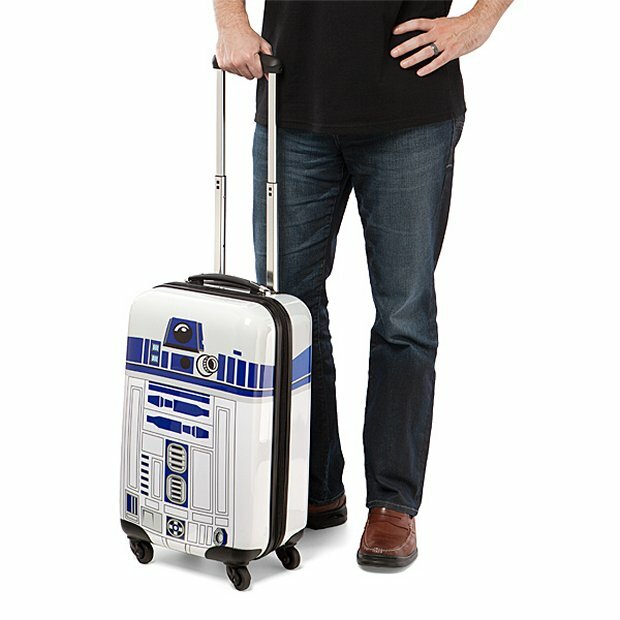 Why not go somewhere on Earth with him, courtesy of this awesome piece of R2-D2 carry-on luggage? 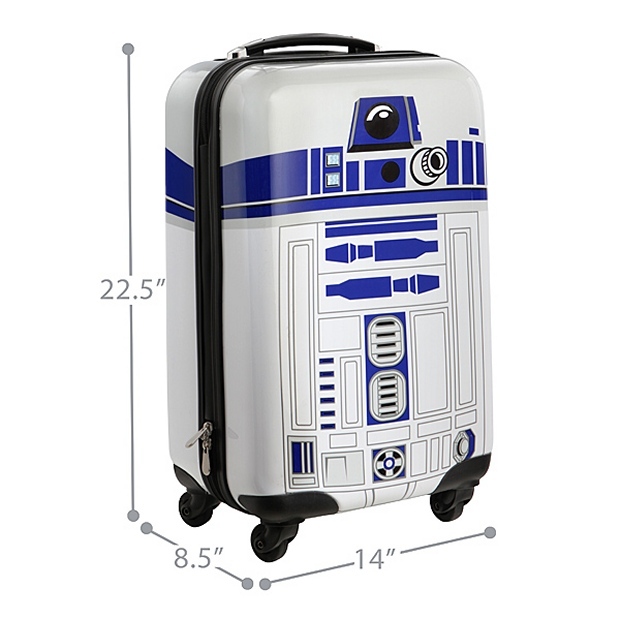 It’s your favorite droid and he is within the carry-on restrictions for most airlines. This is not the droid that the TSA is looking for. Go ahead and try the Jedi mind trick on the TSA agent going through your bags. You never know, it might work. 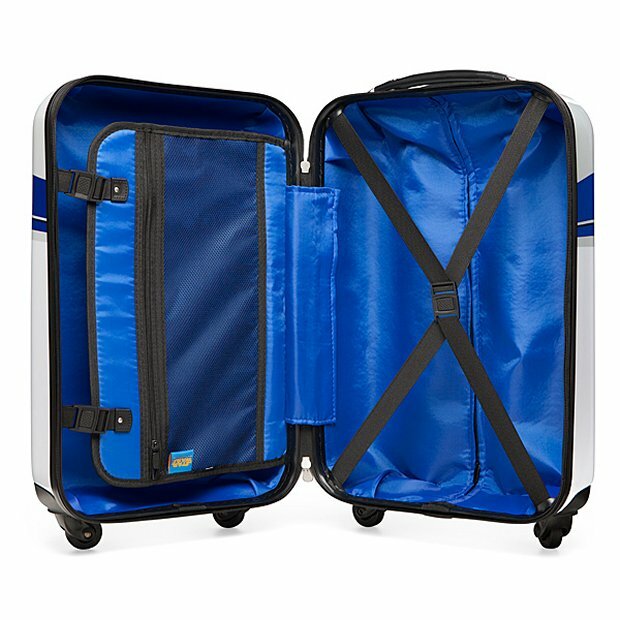 This R2 unit features an aluminum telescoping handle, two zippers for ease of access, a interior fully-lined with divider with an integrated pocket and four 360 degree wheels for upright rolling in multiple directions. You could take C-3PO instead but… why would you?